The League of Tana Tea drinkers proposed an idea for another round robin post – Villainess in movies. Now for those of you newer to this blog, I'll take a quick moment to explain the LOTTD. It is an affiliation of bloggers whose mission is: to acknowledge, foster, and support thoughtful, articulate, and creative blogs built on an appreciation of the horror and sci-horror genres. In other words we're horror bloggers, and every so often a group theme is pitched about which the majority of us choose to blog about. This month the topic is, as I mentioned, Villainess in Movies. I thought this was a pretty interesting idea and pondered about how I wanted to approach this topic. I pitched several ideas around in my noodle - best villainess, favorite villainess, current villainess – before finally settling on VILLAINESS IN PUBLIC DOMAIN FILMS. would he look for these bodies, naturally, but the local strip joints? That’s right, this guy’s all heart!While it may seem that Jan is nothing more than a victim this isn’t the case. She slowly evolves throughout the movie. She is at first confused, then aghast, and ultimately angry at her predicament. Her husband has perverted science for his own mad desires. She slowly gains psychic powers, and communicates telepathically with a creature the doctor keeps locked in a closet. You see, this doctor had been conducting Frankenstein-style experiments, and he keeps one of his failed experiments locked up. Jan communicates with it and leads it in revolt – the creature, under her control, murders the doctor while the lab goes up in flames, Jan laughing hysterically all the while. 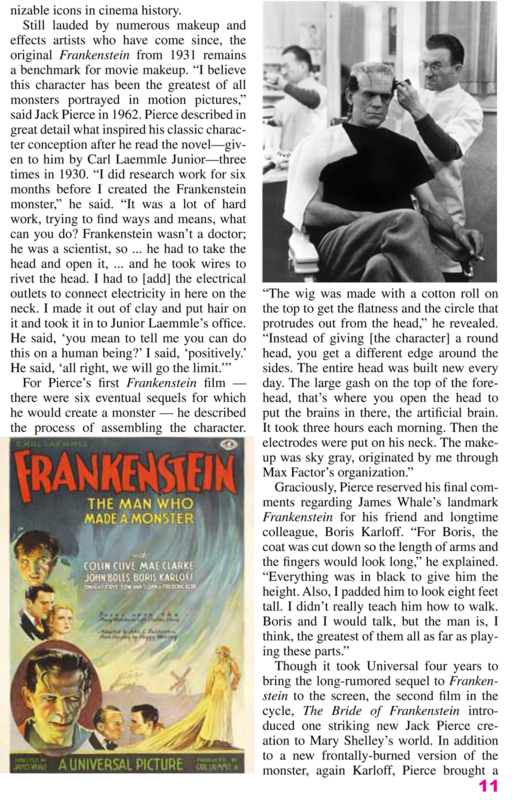 Jan isn’t a villain in the classic sense – she’s a tortured creature, much like the Frankenstein’s monster, and the image of her severed head on the lab table is an iconic image in science fiction cinema. An aging owner of a cosmetics company is desperate to look young again. She employs scientists to help search for a formula to reverse aging. They are able to manufacture such a formula using enzymes extracted from the royal jelly of a queen wasp. Janice demands SHE be the test subject for this formula or she’ll withdraw all funding. 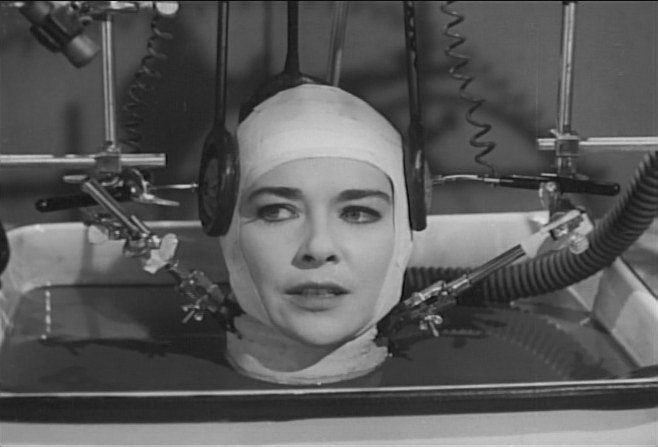 The formula seems to be working but too slowly for her liking, so she begins injecting herself with larger doses of the serum, unbeknownst to the scientist. 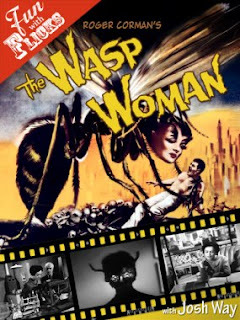 This, however, causes an unforeseen reaction – in true B-movie fashion, Janice changes into a human/wasp hybrid and feeds on human beings! 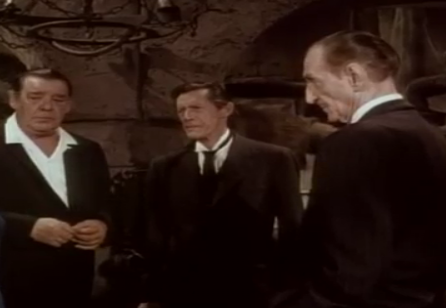 This movie was directed by Roger Corman. It is his take/ripe-off of The Fly. The thing I like most about it is that there is an honest to goodness monster in it. 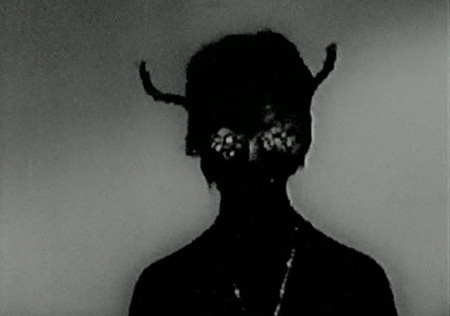 Half woman, half wasp – all cheese! Dr. Frankenstein (Joseph Cotton) succeeds in bringing his creation to life, but is killed by the monster, which escapes into the countryside. His Daughter Tania takes up his work where he left off, with the help of his lab assistant Marshall. 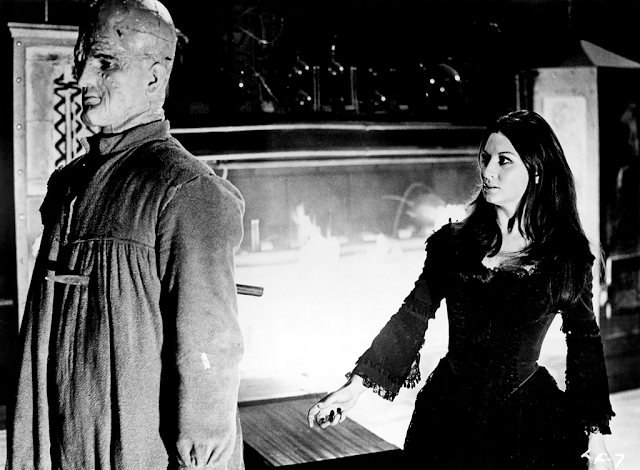 Marshall and Tania are lovers, but he’s old, and this won’t do for Tania. 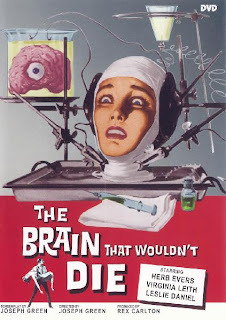 Much like the Doc in Brain that Wouldn’t Die, she uses science to service her loins. She transplants her lover’s brain into the hottest bod she can find - the studly body of a retarded servant named Thomas. 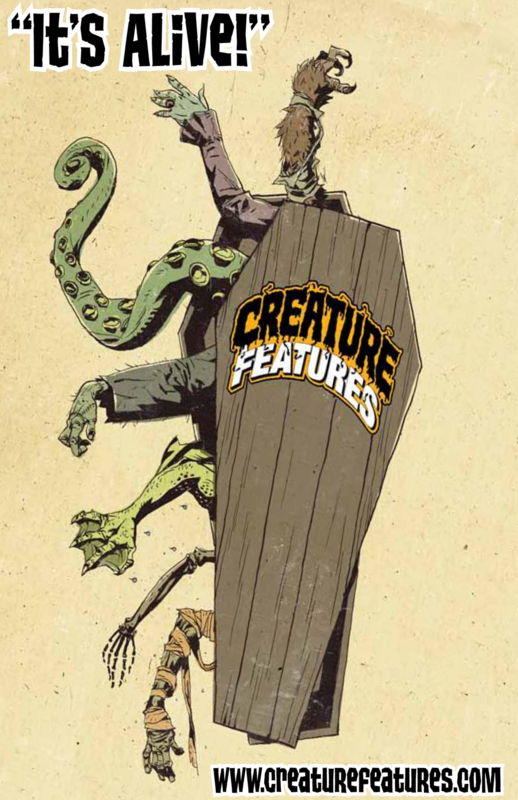 All goes well until the original monster arrives looking for revenge, and the two creatures battle – and of COURSE there’s an angry mob thrown in as well. 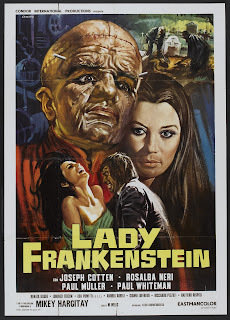 This movie works for one reason – the performance of Rosalba Neri. She is terrific as the lustful, ambitious Tania, who is eager to follow in her father’s footsteps and prove a woman can be every bit the scientist as a man. The most villainistic of the three candidates on my list, Tania uses her womanly whiles to feed her ambition. Ferlin Husky was laid to rest in my hometown of Hendersonville, TN yesterday. It was an open ceremony, per Ferlin's wishes, so family, friends and fans alike could attend. 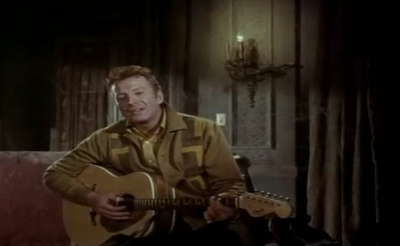 Ferlin is best known for his career as a country singer, where he had no.1 hits with the songs "Wings of a Dove" and "Gone" - but I prefer to remember him as the star of the movie Hillbillys in a Haunted House (1967). Other films he appeared in include Swamp Girls (1971), and the Las Vegas Hillbillys (1966). 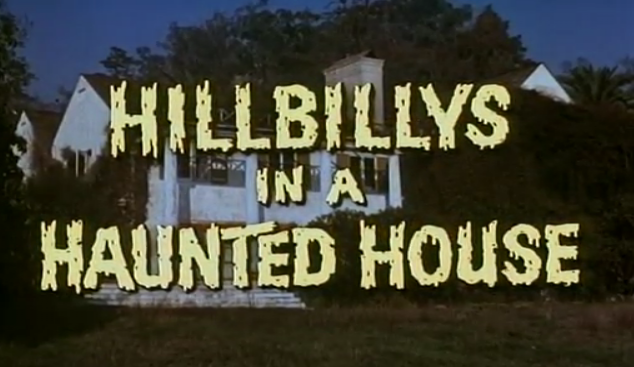 If you've never seen Hillbillys in a Haunted House you've really missed out on one of the great cornball country/horror crossover films of all time. In it Ferlin plays Woody, a country music singer who has car trouble and is forced to stay the night in a haunted house. 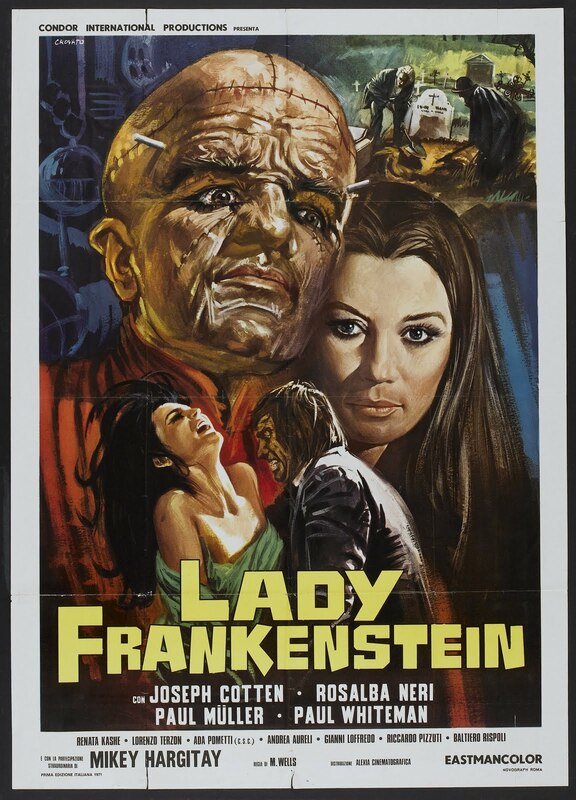 This one's got it all, Lon Chaney Jr., John Carradine, Basil Rathbone, Merle Haggard, the bodacious Joi Lansing, and the great George Barrows as a gorilla. 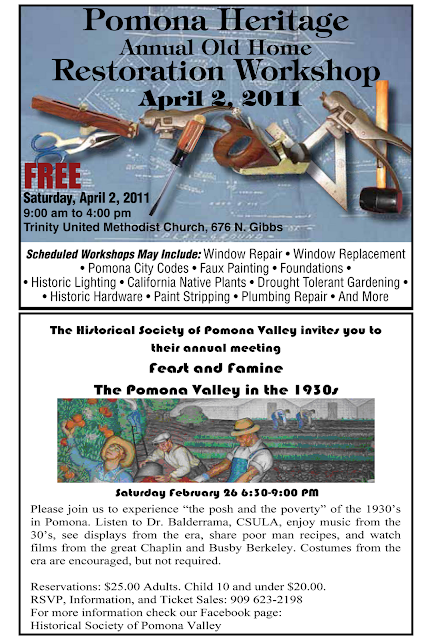 Pickin, grinnin, ghosts and more!! Labels: basil rathbone, Ferlin husky, george barrow, hillbillys in a haunted house, john carradine, joi lansing, lon chaney jr. 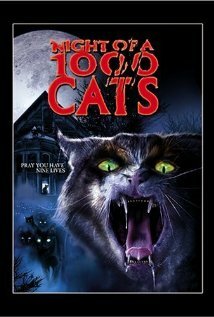 Recommended Movie of the Week Night of 1000 Cats! This week's Recommended Movie of the Week is a feline feast of fury from 1972 - Blood Feast, a.k.a Night of 1000 Cats, an insane over the top Mexican horror movie starring Hugo Stiglitz. 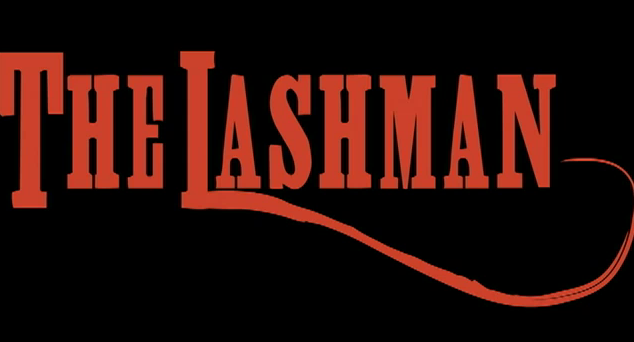 This is one crazy film. I lucked into it at a comic book store on vhs. If you can find a copy check it out... Definitely NOT PETA approved! This interview with actress Debbie Rochon is from the 2010 Lone Wolf Body art Full Moon Tattoo Festival in Nashville. It was great to catch up with Debbie again and chat about what all she's been up to. 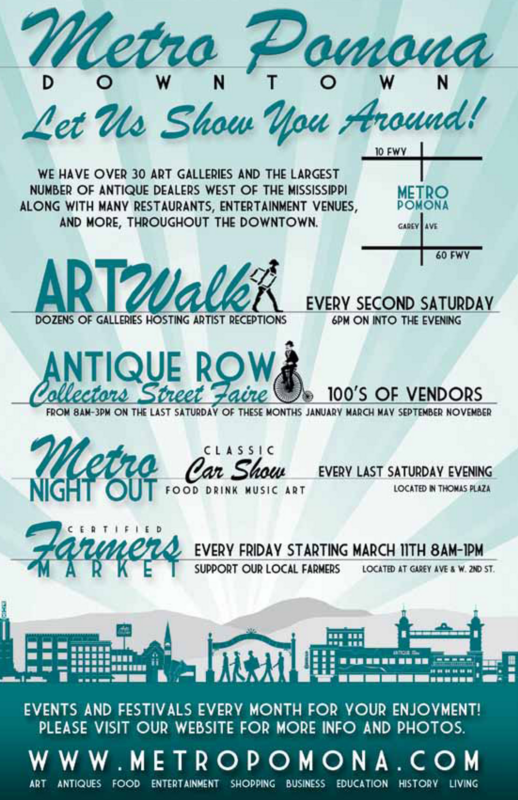 I only wish i lived closer so i could attend!! Just announced, the Dreadful Hallowgreen Special is going to be shown live @ the wonderfest convention, hosted by yours truly. I'm looking forward to presenting this collaboration with fellow horror host Penny Dreadful to the live audience in Louisville. ' have several surprises lined up for the evening, as usual, and look forward greatly to the event! 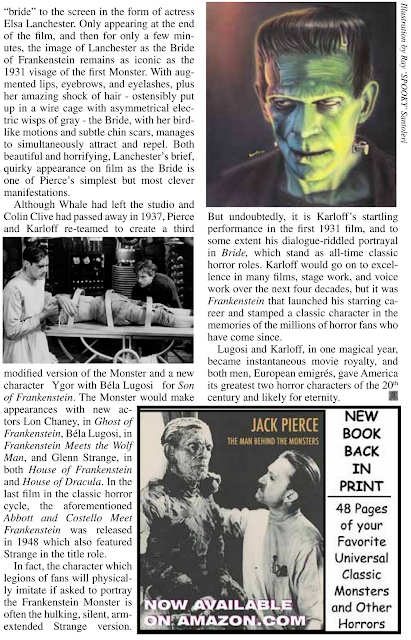 Stephen King’s Dollar Babies, Vincent Price Centennial, and more! 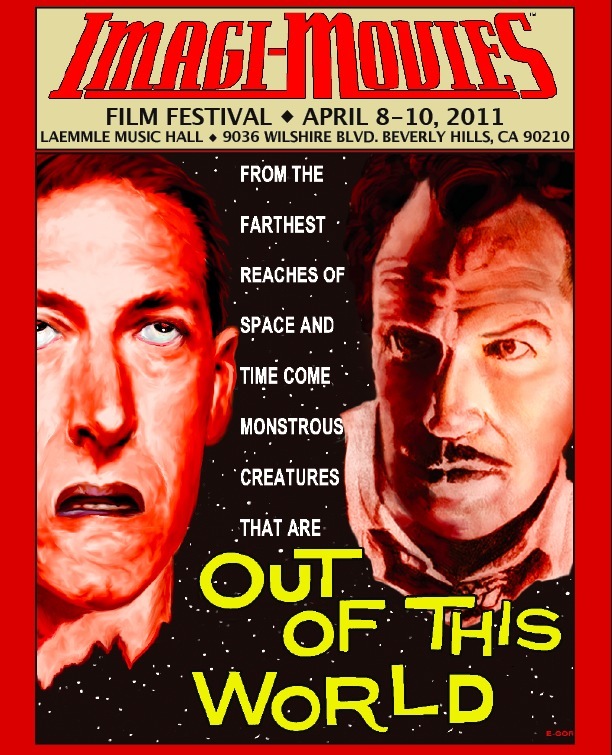 LOS ANGELES, CALIF., March 7, 2011 – Famous Monsters of Filmland announced today a change in date and venue for its first annual Imagi-Movies Film Festival! 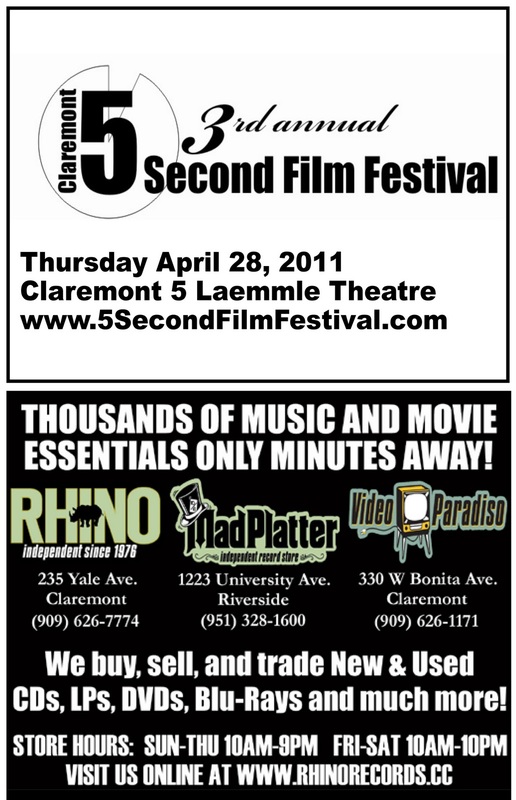 The three-day film festival will be held at the Laemmle Music Hall in Beverly Hills, located at 9036 Wilshire Blvd. 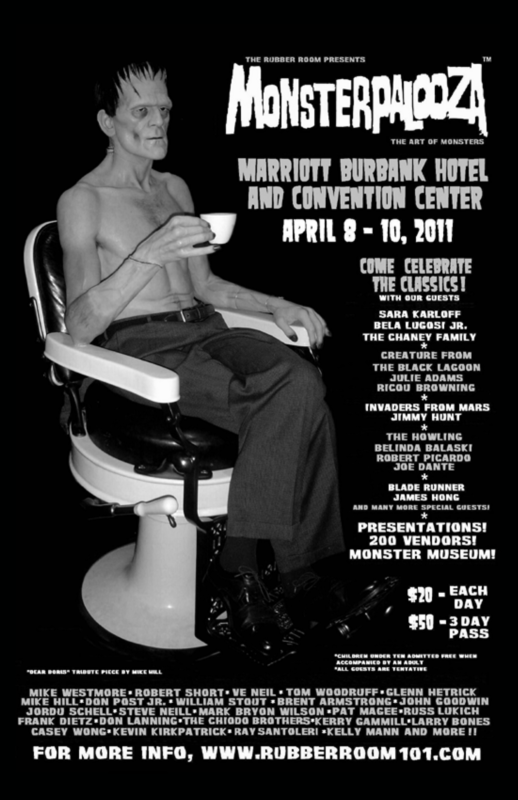 from April 8-10, celebrating the legacy of Forrest J Ackerman, America's #1 Sci-fi Fan. 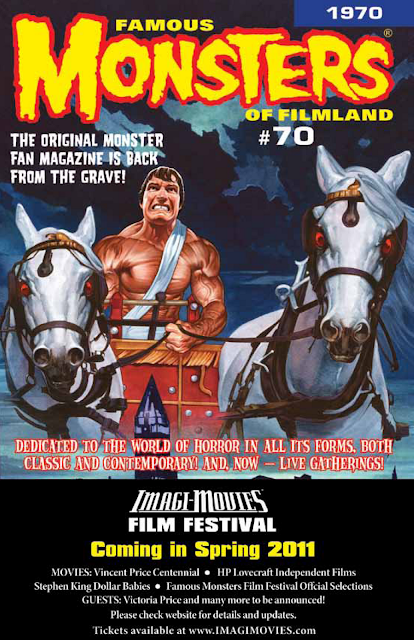 The Imagi-Movies Film Festival 2011 continues in the spirit of FM, inspiring the imagination of storytellers worldwide. 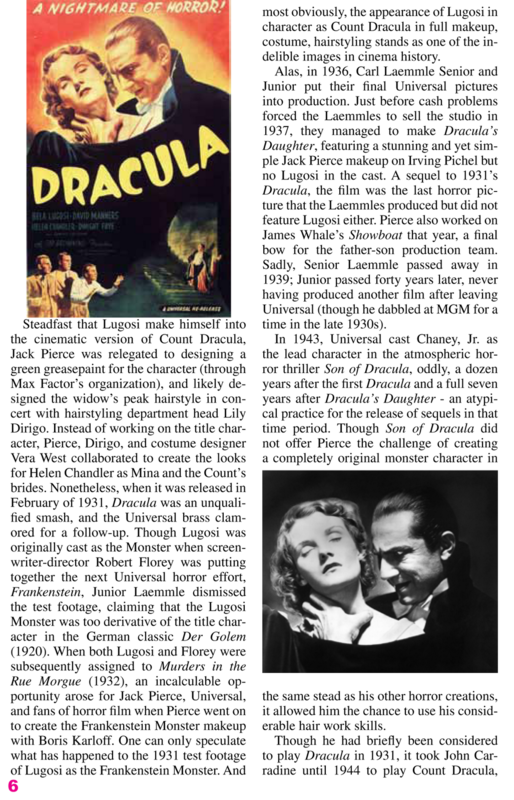 Along with the independent films from our FM Film Festival finalists, the Imagi-Movies Festival will celebrate the Vincent Price Centennial with daughter Victoria Price and the 80th anniversary of Universal's Frankenstein and Dracula with the Lugosi family. Additionally, the theater will feature exclusive previews for upcoming horror films such as Universal's The Thing, a rare collection of Stephen King's Dollar Babies exposé, and a Famous Monsters and the H.P. Lovecraft Society's compilation of Lovecraft films in honor of one of horror's iconic writers. Come enjoy a weekend of movies and filmmaking with fans and even take home some tools of the trade during live panels with some of the leading names in Hollywood. For tickets, special celebrity guests, and more information, visit the official Imagi-Movies Film Festival website at www.Imagimovies.com. It LIVES! 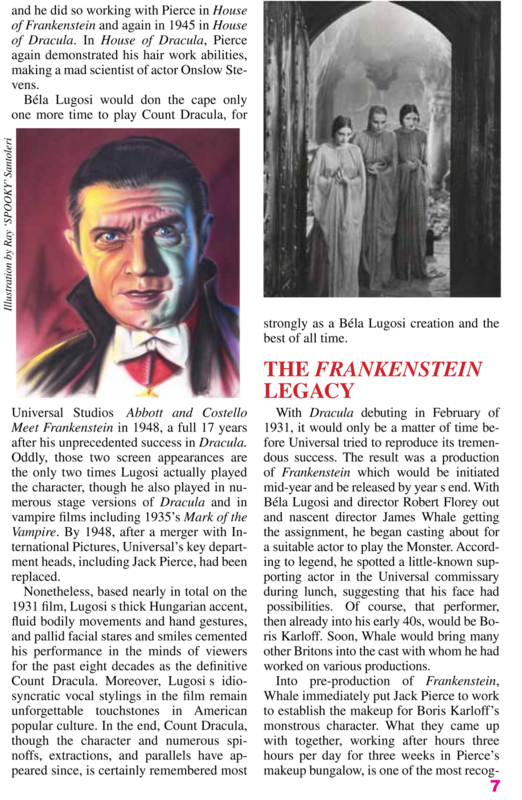 With a publishing history spanning over 50 years, FAMOUS MONSTERS OF FILMLAND is the most well-known magazine devoted to fan-oriented coverage of horror, fantasy and science fiction. Features range from previews of upcoming films, to respectful looks back at film history, interviews with the principal personalities in genre, and in-depth behind-the-scenes discussions of specialized aspects of film production, including visual and makeup effects. 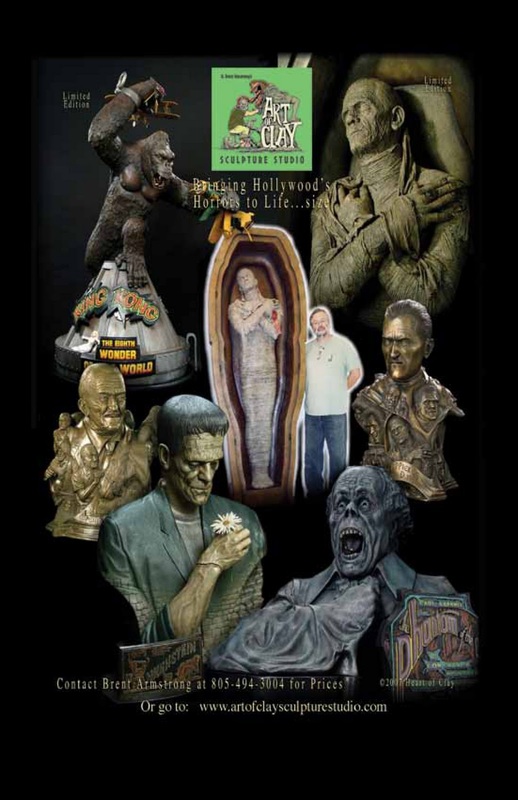 FAMOUS MONSTERS is recognized through fandom for its friendly, light-hearted and enthusiastic approach. When it comes to modern history 1931 is a pivotal year in my mind. This is mostly because it was the launch of the monster era. 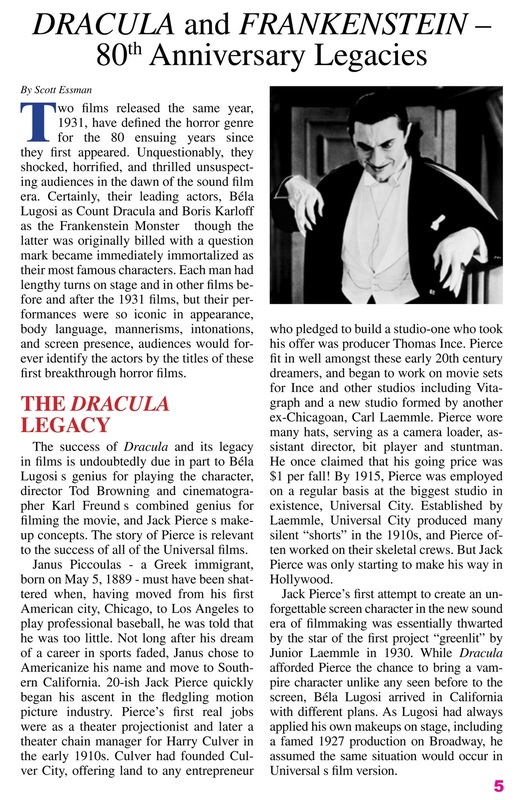 You see, that was the year both Frankenstein and Dracula were released by Universal, both hugely successful and influential films spawning sequels and imitations alike. 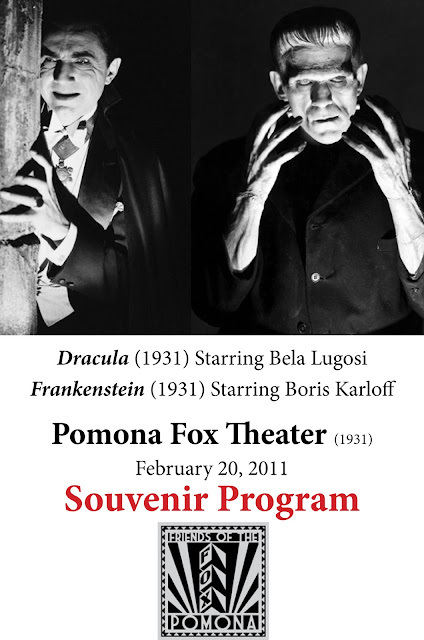 So being such the horror-nerd that I am, I sort of group historical events in my mind to Pre-1931 and Post-1931. Well this year, 2011, marks the 80th anniversary of these classics, and a fitting tribute recently took place in a venue that was also launched that fateful year, THE POMONA FOX THEATER. 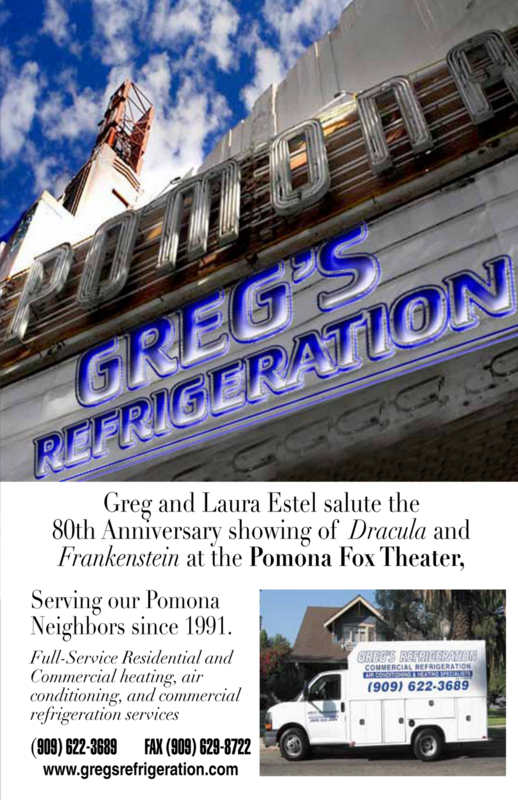 Opened to the public in 1931, The Pomona Fox was the perfect place for a screening of these giants of the silver screen. it took place on Feb. 20th, 2011. I have a copy of the program book, designed and written by my buddy Scott Essman, and thought I'd share it with you folks. 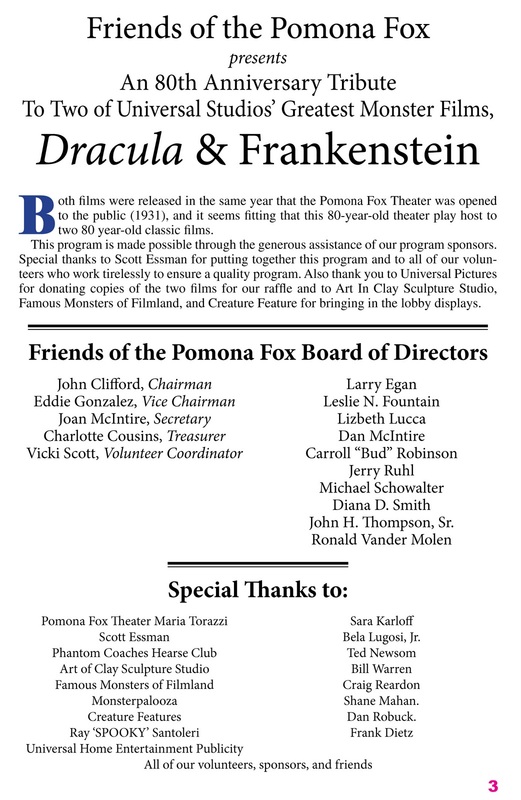 Enjoy, and happy 80th birthday Frank, Drac, and Pomona Fox! 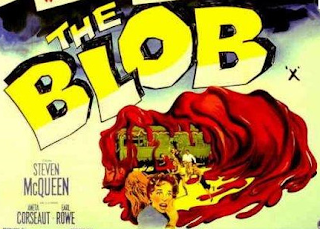 the 1958 classic, THE BLOB. Plus Doc Gangrene dispenses with a very valuable piece of information in this episode - you don't want to miss it - it could save your life! 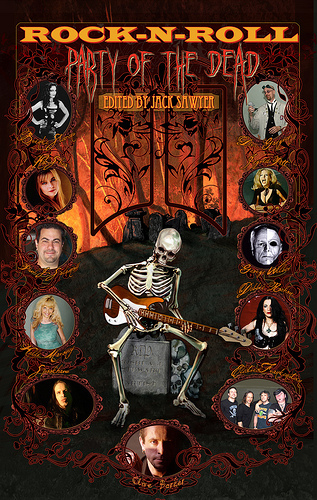 A sprawling collection of interviews with celebrities in the horror film, fiction, FX, and music genres, including Clive Barker, Brinke Stevens, Dacre Stoker, Ingrid Pitt, Electric Frankenstein, Barney Burman, and Dr. Gangrene. 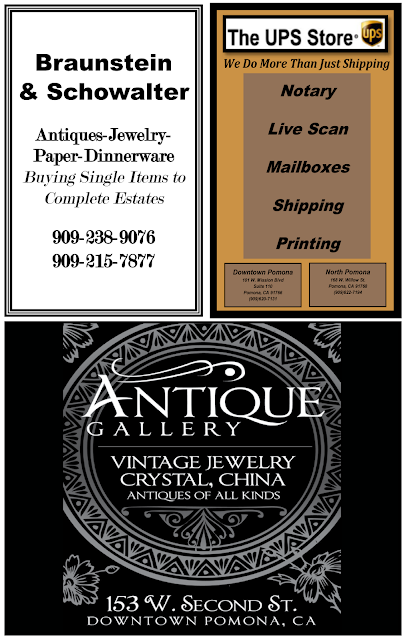 I apologize for the lack of activity on the blog this past week - internet and computer problems had me offline for a week! Ouch! 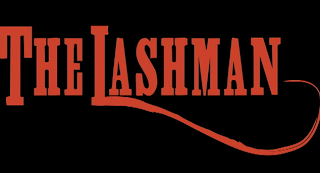 I play the town drunk who first warns them of the Lashman - kind of like Ralph from Friday the 13th. 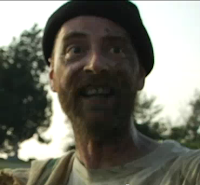 Check out the trailer - it has gotten over 13,000 hits in a week! !